What’s an amazing summer without some spooky fun, right?! The all-star and phenomenal cast of the spectacular movie, Annabelle Hooper & The Ghosts of Nantucket had a very special time celebrating the premiere of their movie at the Nantucket Film Festival. Every cast-member is so incredibly talented and contributes their own unique and magnificent talent to make this movie absolutely sensational. They all have worked so hard to make the movie as exceptional as it is, and it was time to celebrate the premiere of their movie and watching it in its entirety for the very first time. Bailee Madison also shared her excitement over the movie premiering at the Nantucket Film Festival and she posted the fabulous photo as seen below through her Twitter account. 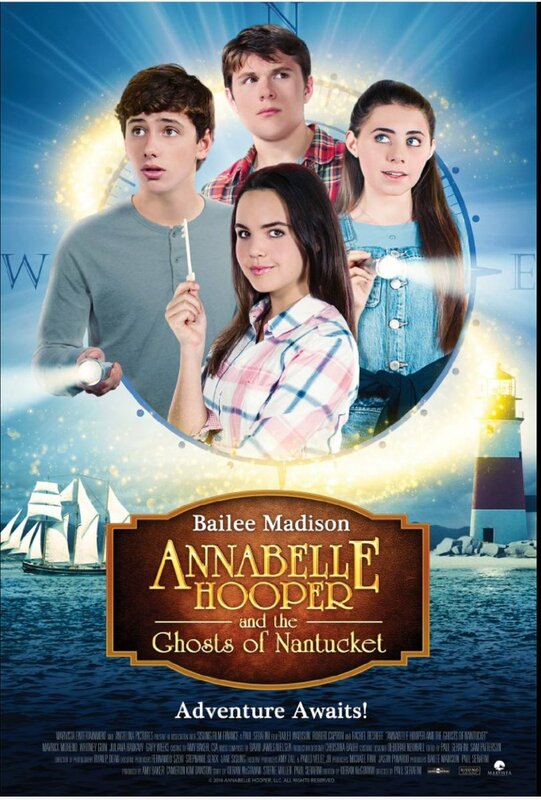 Here at Alexisjoyvipaccess.com, I’d like to send a big congratulations to the cast of Annabelle Hooper & The Ghosts of Nantucket on the premiere of their outstanding movie! We all can’t wait to see it in theaters. Check out more photos from the premiere below! Previous Article: Singing Sensation Jake Miller Announces His Overnight EP Release Date And Going On Tour With Fifth Harmony! Next VIPAccessEXCLUSIVE: The Stupendous Misha Collins Talks About GISHWHES In His Interview With Alexisjoyvipaccess!